Most of us know what a hiccup feels like and how to recognize it. Blood tests or X-rays are usually not necessary unless your hiccups are a symptom of an associated medical condition. Most bouts of hiccups go away on their own within a few minutes to a few hours and do not require any treatment. 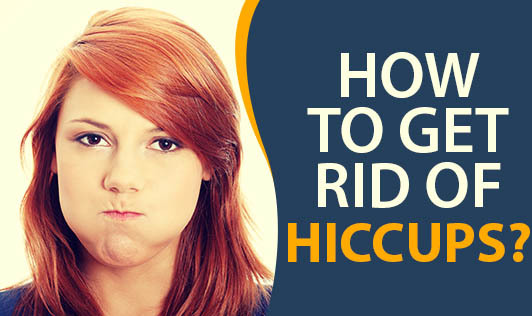 Numerous home remedies are used to treat hiccups. Here are a few you can try to get rid of hiccups. •Holding your breath and counting slowly to 10. •Breathing repeatedly into a paper bag for a limited period of time. Sometimes several treatments may be tried before persistent or intractable hiccups are controlled. If you have hiccups that last a few days or longer, your doctor may conduct tests to rule out a more serious problem.